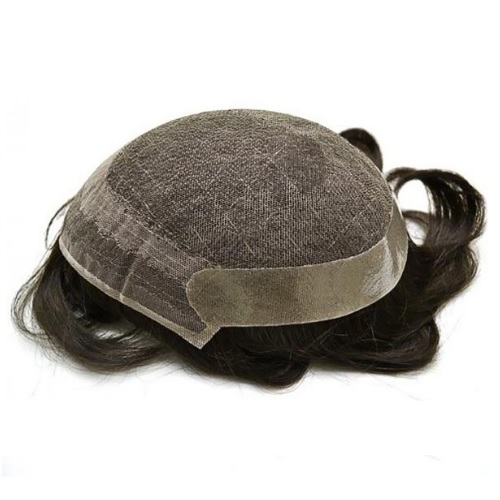 Avaniwigs is a Best Manufacturer and Supplier of Men’s Lace Hair System in New Delhi. Lace Hair Systems Manufacturing Company in India. The front references the hairline. If the front of your hairline loses its hair, then using the front lace hair system is one of the best options to hide baldness. Front hair systems come in different sizes and shapes. Just learn about your suitability and priorities and you can find the best piece for you with a wide selection of hair systems in front of us. We have made a place in the market in Delhi as a supporter of India’s premium manufacturer, exporter and lace hair system. Our lace hair system is made by skilled professionals who use high grade materials and latest technology. We are offering men’s lace hair systems to our esteemed customers at major prices of the market. Buyers can get our top class of men and lace hair system at nominal rates. The series of hair systems provided by us is presented in a series of designs to meet buyers and various demands. We are also capable of taking customized orders of men and lace hair systems and providing buyers with reliable product.